Established in 1994, October 5 is the day when the teaching profession is celebrated locally and around the world. A joint venture between UNESCO and Education International, there are all sorts of different ways that teachers and education are celebrated. 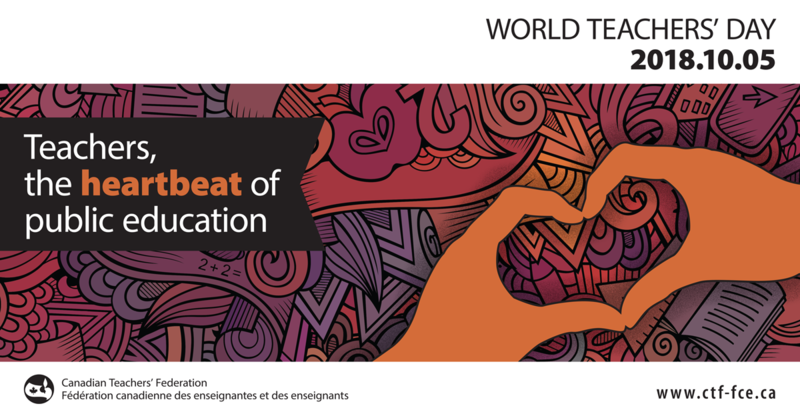 The theme of this year’s World Teachers’ Day is Teachers, The Heartbeat of Public Education. The Federation thanks teachers for their work today that is shaping our tomorrow. STF President Patrick Maze is guest starring on CTV Regina Morning Live this Friday at 7:50 a.m. for World Teachers’ Day. We hope you tune in!